Performance inside the Holocaust Memorial of Berlin. View more pictures. 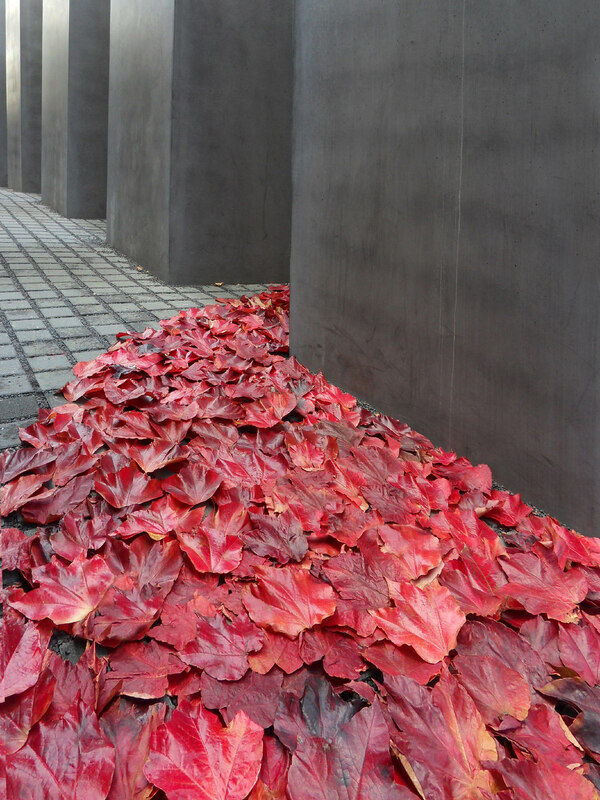 The Red Leaves River was a perfomance inside the Memorial to the Murdered jews of Europe which occured the 25th of October 2010. 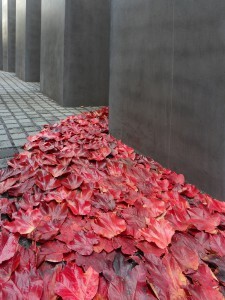 The idea was to cover one of the deep alleys of the Memorial with red leaves of Virginia creeper which stains red many walls of Berlin in October : an ephemeral installation about the fragility of life.The strength of this project lies in the contrast between red and gray, leaf and concrete. I saw a river of souls, many visitors talked about a river of blood. It was an intense experience from a human and artistic perspective. The visitors were surprised and touched by the red river: many took pictures and stayed a moment to contemplate. This project is a team effort and I want to give a warm thank you to the workteam…and especially my brother Ben, Detlef and Mark…and also Karsten, Jane, Doville, Benoît, Herman, Esra and Miu. …and this is just the beginning…there is more coming next automn !